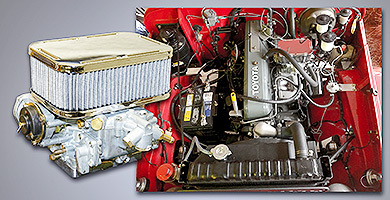 Specter offers the Weber type Carburetor* Kit to fit the one barrel manifold on Land Cruisers produced from 1958 to 1967. This carb is pre-calibrated and set to run on standard stock engines and provide a performance and fuel economy improvement. This carburetor is designed with a ported vacuum fitting for use with the Vacuum Advance Distributor, see #022-01A. The kit comes complete with the new 32/36 progressive Weber type carb, all adapters, gaskets, hardware, air cleaner, and instructions. This carb is not smog legal, and is not designed to be operated with any smog devices and does have an electric choke. 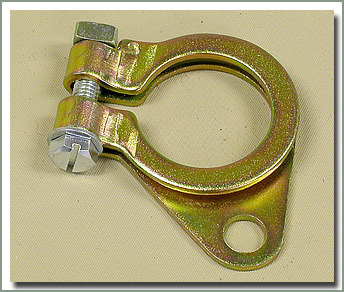 Requires purchase of Pedal and Cable Assembly, see #043-05A below. * Weber type carburetor made by Empi - SOR feels the quality of the casting of the Empi carburetor is superior to the original Weber that is now produced overseas. Those of you with Cruisers built from 3/69-9/69 know how hard it is to find an original Toyota carb for your vehicle. Cores are getting harder to find so rebuilt carbs are becoming scarce. 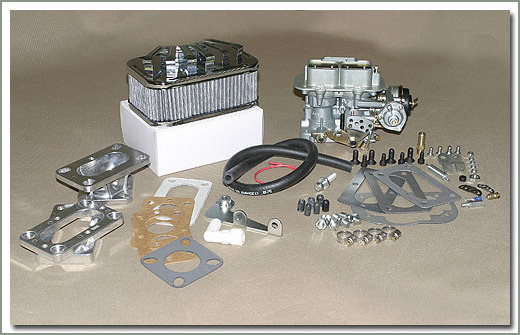 Well search no more, Specter now offers the 32/36mm Weber type Carburetor* Kit to fit 1968-9/73 Land Cruisers. This carb is pre-calibrated and set to run on standard stock engines and provide a performance and fuel economy improvement. This carburetor is designed with a ported vacuum fitting for use with the Vacuum Advance Distributor, see #022-01A. The kit comes complete with the new 32/36 progressive Weber type Carb, all adapters, gaskets, hardware, air cleaner, and instructions. This carb is not smog legal, and is not designed to be operated with any smog devices and does have an electric choke. Please check your local smog laws before purchase. Vehicles from 2/73-9/73 will have to plug fuel return line. 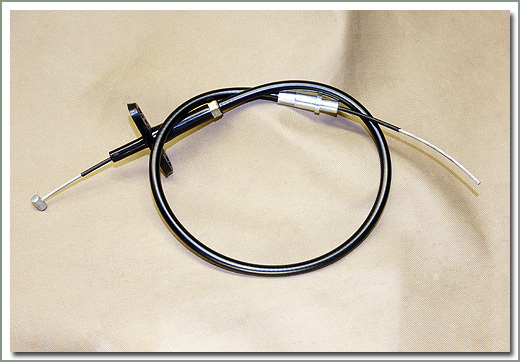 Vehicles from 9/69-9/73 must purchase #042-04H accelerator cable separately (see below). 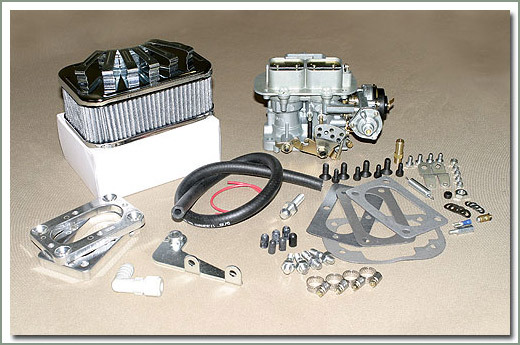 Specter also offers a larger 38mm Weber type Carburetor* Kit for the customer with a modified engine or plans to modify the engine at a later date. This larger non-progressive 38mm Weber type carburetor is suitable for use on stock or modified F and 2F engines. If you have higher than stock compression, larger camshaft, headers, larger exhaust systems, and high energy ignition systems, this carb is for you. If you plan to install these components later you should consider this carb. This carb was designed with ported vacuum fittings for use with a Vacuum Advance Distributor, see #022-01A. Kit contains new 38mm Weber type Carb, adapters, gaskets, air cleaner and instructions. This carb is not smog legal and is not designed to be operated with any smog devices and does have an electric choke. Please check your local smog laws before purchase. Vehicles from 2/73-9/73 will have to plug fuel return line. 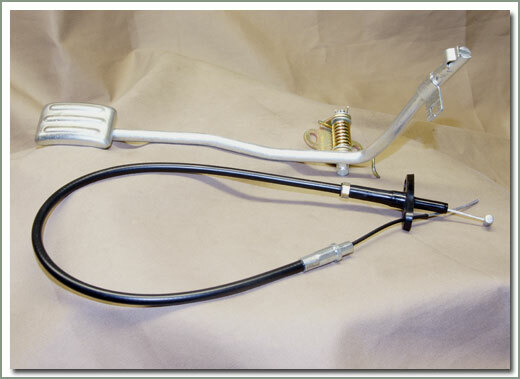 Vehicles from 9/69-9/73 must purchase #042-04H accelerator cable separately.Vehicles from 9/73-8/80 require #043-05B Pedal and Cable Assembly. SOR feels the quality of the casting of the Empi carburetor is superior to the original Weber that is now produced overseas. 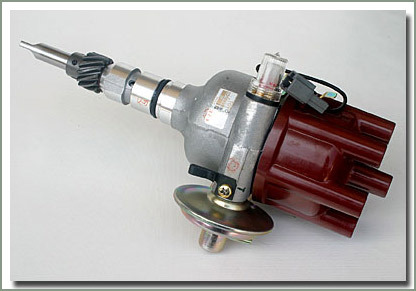 If you have a Weber type on your Land Cruiser and your old distributor is worn out, you should consider the Toyota Vacuum Advance Distributor. 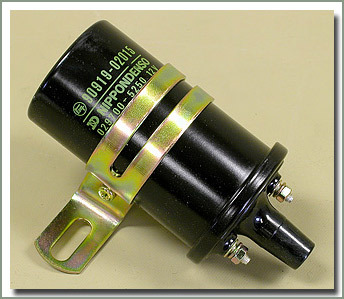 Since most Weber type Carburetors have a connection for ported vacuum, they work well with the Vacuum Advance Distributor.